Devon Contractors are committed to ensuring that our work will not endanger the health or well being of any employees or third parties who may be affected by any works we may carry out. Our Health and Safety Policy (available on request) has the full support of the Directors and Managers and is enforced at every stage of every development. This support is fundamental in ensuring that all activities undertaken by Devon Contractors are always properly controlled, thus enabling the effective achievement of our Health and Safety obligations. Devon Contractors have vast experience in the preparation and development of site safety plans and supporting detailed procedures, as appropriate for each client and project. As a result we are fully equipped to carry out the role of Principal Contractor. We will always allocate sufficient resources for co-ordinating all operations during the construction phase. This includes conducting risk assessments, obtaining and vetting method statements, the provision of information and training to all relevant staff, as well as monitoring and reviewing performance. 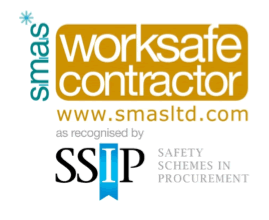 Through our commitment and hard work towards outstanding health and safety levels, Devon Contractors are proud to have been certified as a Worksafe Contractor.